KARACHI: “The first thing you would notice about our Areeb was his bright smile. His smiling face will always remain in my memories of him,” said Mohammad Aslam Khan, uncle of 27-year-old chartered accountant Syed Areeb Ahmed who was among the 50 Muslims killed in the Christchurch shooting. Among the nine Pakistanis martyred in the March 15 terrorist attack on two mosques in New Zealand, Areeb is the only one whose remains were flown back home on Monday. The names of the other Pakistani victims of the Christchurch attack shared by the Foreign Office earlier are Sohail Shahid, Syed Jahandad Ali, Mahboob Haroon, Naeem Rashid and his son Talha Naeem, Zeeshan Raza, Ghulam Hussain, and Ms Karam. Areeb’s funeral prayer were offered at a packed-to-capacity playground and he was laid to rest at the Sakhi Hasan graveyard on Monday afternoon. 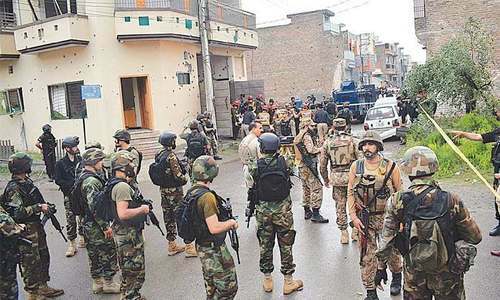 The large number of visitors coming to pay their respects prompted the police to close off one end of the street leading to his father’s rented house in Federal B Area. “He spent his entire childhood and youth here,” the uncle told Dawn. “After doing his Matric from the G.B. Malik School he proceeded to Delhi College for his intermediate. He was a very studious child from the beginning and passed all his exams with flying colours,” he said. 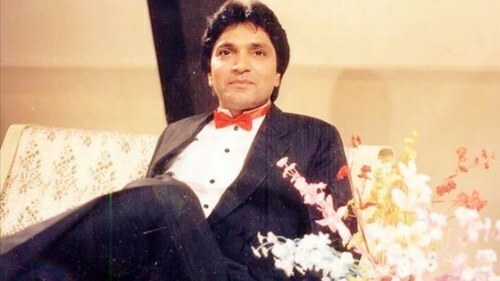 “He didn’t want to burden his father, who has blood pressure issues along with several other conditions, so he offered tuition to neighbourhood children throughout his academic career,” he said. “And after completing his education, he also landed a fine job with a reputable chartered accountants’ firm. Then when the same firm wanted someone reliable for its Christchurch office, they thought of Areeb. He was there for some 18 months and had also come back for a visit just a couple of months ago. Who could have imagined then that it was going to be the last time we were going to see him alive,” the uncle sighed. Another uncle, Muzaffar Khan, said that Areeb used to pray five times a day, and he was not known to ever miss his prayers. A few friends and neighbourhood boys took turns to stand guard outside the family’s home. They were allowing only the family women inside. A woman with her daughter wearing a school uniform arrived. “I brought her here straight from school,” she told one of the young men. “I want her to get a glimpse too while Areeb is still home,” she said before being allowed inside. Another woman with greying hair was coming out. When someone asked how Areeb’s mother and sister were doing, she only shook her head. Meanwhile, several people with moist eyes were coming outside. Bushra said she was Areeb’s older cousin from his mother’s side. She said that she remembered Areeb growing up. “He was not that much into sports and games. He was more into studies,” she said, adding that one needed to be strong to see the state Areeb’s mother and younger sister were in at the moment. “The parents named both their children with so much love, giving them similar names. Areeb’s younger sister, younger than him by five years, is named Abeer. Now she is their only child,” she said, adding that the nest would truly become empty after the sister was married. “The family was planning to get her married soon. And her big brother wouldn’t think about his own wedding before that happened,” she said. When it was time for everyone to say their final goodbyes, it seemed that no one was ready for it. The Sangam ground, where the funeral prayers were to be held, was flooded by thousands of people still wanting to catch a last glimpse of the young man. Areeb’s ailing father had to take the microphone to appeal to them to move backwards so that the prayer leader could begin. “This is Ijaz Ahmed, Areeb Ahmed Shaheed’s father. 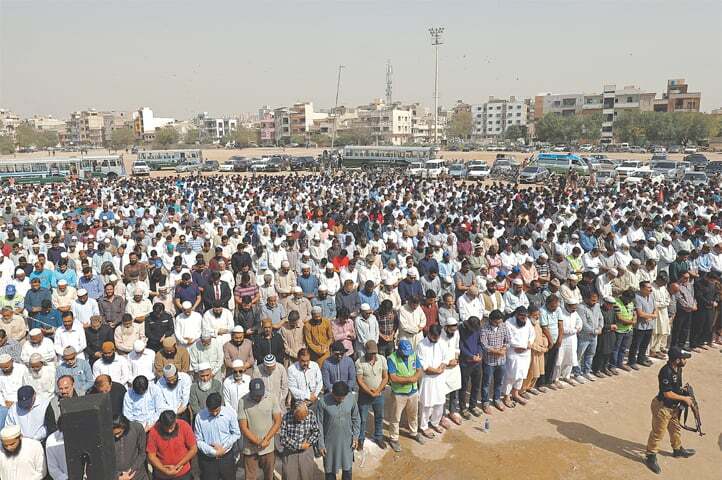 Please step back to make room for Imam Sahib to begin the namaz-i-janaza,” he requested. “Please, if you loved my son, do not serve as a hindrance in his final journey,” he said followed by appealing to the government to build a university in Areeb’s memory. “My son gave so much importance to education as he believed it could change lives. I want his country to have a university bearing his name. It will help keep his memory alive,” he said. 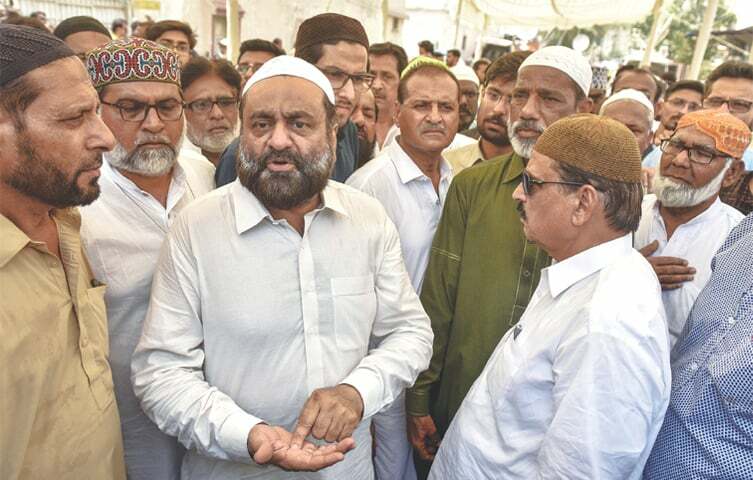 Present among the dignitaries at the funeral were Sindh Governor Imran Ismail, Local Government Minister Saeed Ghani and Karachi Mayor Wasim Akhtar.